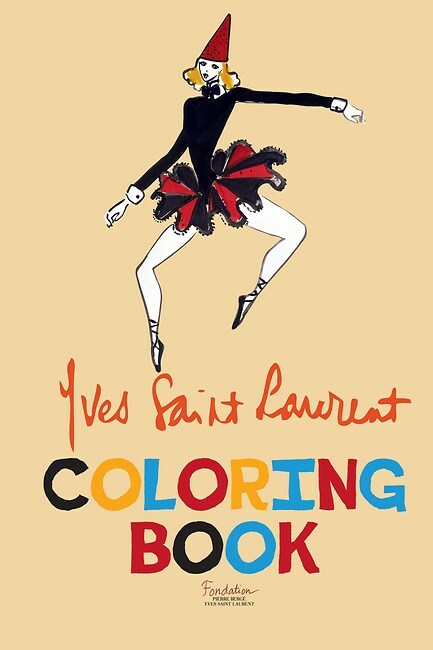 Yves Saint Laurent Coloring Book; Fondation Pierre Bergé; May 10, 2016; 9781551526393, 1551526395; Trade Paperback: $12.95 USD, £9.99 GBP; 48 pages, Color illustrations and photographs; 12 in H, 8 in W, 0.6 lb Wt. 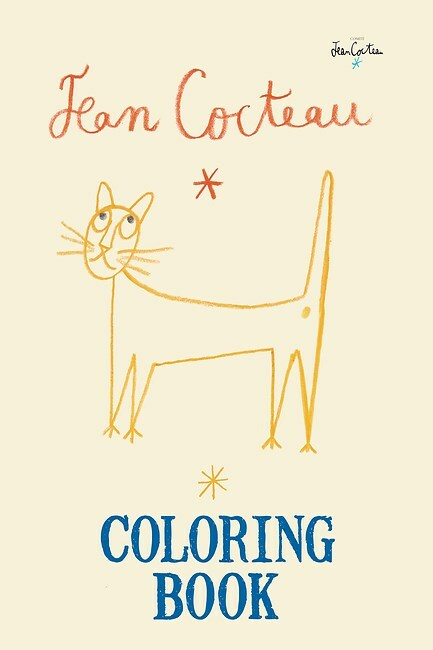 Jean Cocteau Coloring Book; Jean Cocteau Committee; May 10, 2016, 9781551526409, 1551526409; $12.95 USD, £9.99 GBP; 56 pages, Color illustrations throughout; 12 in H, 8 in W, 0.8 lb Wt. graphic drawings ready to be coloured in alongside original illustrations for reference. Yves Saint Laurent headed the House of Dior and became famous for the "beatnik" look in the sixties, as well as creating the tuxedo suit for women. His colourful life was the subject of a recent feature film, Saint Laurent. The book's line drawings for colouring are based on many of the designer's original sketches for dresses over the years, accompanied by full-color photos of original dresses for reference. “Coloring” books have become a publishing rage recently, so why not two books featuring icons of the arts and the fashion world. Ideally, both books should be read and used in hard copy, and they are reasonably priced and well-packaged for this purchase. It is a shame, but understandable, that they so difficult to process for viewing on the standard Kindle device. Illustrations are notoriously hard to manage when in even the simplest of formats when publishing Kindle books. This is doubly so when adding several images of the same design or group of designs. Typically, illustrations tend to “slip” from the pages they should lend on or at the very least are out of the position for the text. “The Soul of Place - A creative writing workbook” by Linda Lappin is an example of a book able to present images in tightly, without losing the shape of its text in a Kindle format. The fashion colouring books are much heavier laden in the numbers and colours involved than Lappin’s workbook so that some disengagement is to be expected. Frustrated at trying to read the books on a Kindle device, I opened them using Kindle on a Tablet device. The device provided a look closer to the paper copies. The addition of a stylus tool I use for editing provided the opportunity of trying my hand at colouring in like a fashion icon. However, if readers want the get the best out of these books, they are advised to buy hard copies. I wonder if it was wise for the publishers to pitch the books as being for “coloring in” - whether or not for adults. Our imprint BMS Books Ltd recently published a book of illustrations called Art I Am - Patterns of Creativity. This collection by Shona Hammond Boys featured the work of Melis van der Sluis - illustrations in black and white. We looked at the colouring in concept for this book but rejected it as not fully embracing the brilliance of the artist. On reflection, it may be have been best for these books to be marketed for the creative geniuses they reflect. Colouring the books’ illustrations must be a bonus rather than their core purpose.